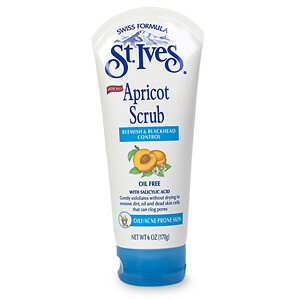 Erm … would it be too much if I told you that I use St Ives’ Apricot Scrub for my … err … feet? Just bought the orange tube version of this at Guardian for RM24.50 . I found this scrub to be too abrasive for the face and would not recommend it as facial scrubs. I try use it on the foot and is perfectly fine though. I use Neurogena Deep Clean scrubs and occasionally L’Occitane Immortelle Brightening Smoothing Exfoliator for the face when I need to put a mask on afterwards.